The flavor of a mid-summer vine ripened strawberry is like none other. Sweet, juicy, fruity, and fragrant, the taste of strawberry compliments so many wonderful recipes. Add this strawberry flavoring to baked goods, beverages, and more. Organic Strawberry Flavor Extract is vegan, kosher, and gluten-free. 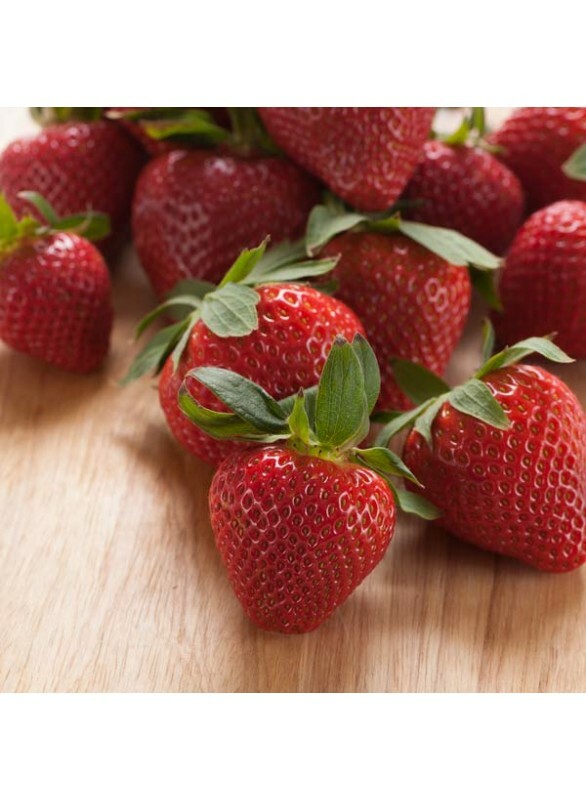 Organic Strawberry Flavor Extract is a natural flavor extract that contains the great taste of freshly picked strawberries. Excellent for baking, ice cream, coffee syrups and beverage applications, Organic Strawberry Flavor Extract is certain to add a great and fruity taste to your many recipes. Organic Strawberry Flavor Extract can be used in a plentitude of creative ways. And, since our flavor extracts are concentrated, a little will go a long way. We urge you to experiment with your flavors when you are first trying them out. Because recipes are not all the same, different quantities will be needed to reach desired effects. As a starting point, you may begin with as little as .25% of your total ingredients, but may find yourself using up to 4%. Begin with using a smaller amount, and then slowly add more if you find you need to. Some level of experimentation will be necessary to find the ratios that are right for your and your unique application.